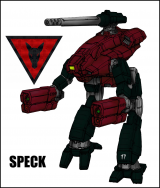 Do the mechs that come in the IWM quick start lance (Victor, Orion, Hatchetman, Firestarter) come assembled or unassembled? Obviously I know they aren’t painted but I didn’t see anything about if they are one piece minis or multi. Thanks. All have a built-in base. The Hatchetman I have is quite skinny compared to my old ones. Were they just atrophied? Or are they actually a different mold altogether. The beginner set Lance packs are different molds and sculpts from the 20 codes. To add to this... they are modified versions of the 20-code sculpts that are then molded and cast. They shrink a little through the process.